Alice Dawnay is co-founder and CEO of London charity Switchback, which supports young men to live life differently on release from prison. Switchback’s radical, relational approach gets results: just 8 per cent of Switchback Trainees reoffend within a year of release, versus the national average of 49 per cent. Switchback’s therapeutic practitioners do more than manage offenders’ crises and build employability: they work intensively with trainees to totally refashion attitudes, values, behaviours and relationships. It is this intensive work that achieves a 58 per cent rate of profound, lasting change from chaos and disillusionment to the stability necessary for meaningful lives as active members of society. 80 per cent get into long-term employment. 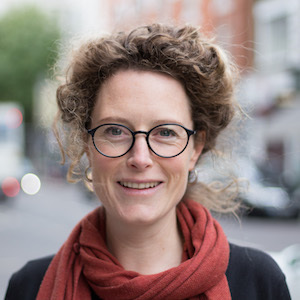 Alice developed the Switchback model after conducting an extended analysis of creative and successful alternatives to custody in the USA as a Fellow of the Winston Churchill Memorial Trust. 10 years after its launch, the charity has grown to a staff of 12 and turnover of £500k with a reputation for delivering impact: winning the Robin Corbett Prisoner Reintegration Award in 2016 and shortlisted for Outstanding Organisation at the Criminal Justice Alliance Awards 2017. This spring, Switchback was the only small charity invited to give oral evidence to the Justice Committee’s inquiry into probation reforms.